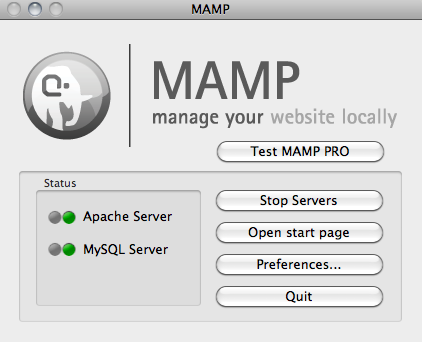 If you wanna test web applications and don't have the time and experience in setting up a complete LAMP environment on Mac you should have a look at MAMP. It's a complete Apache, MySQL, PHP distribution with a small management gui. 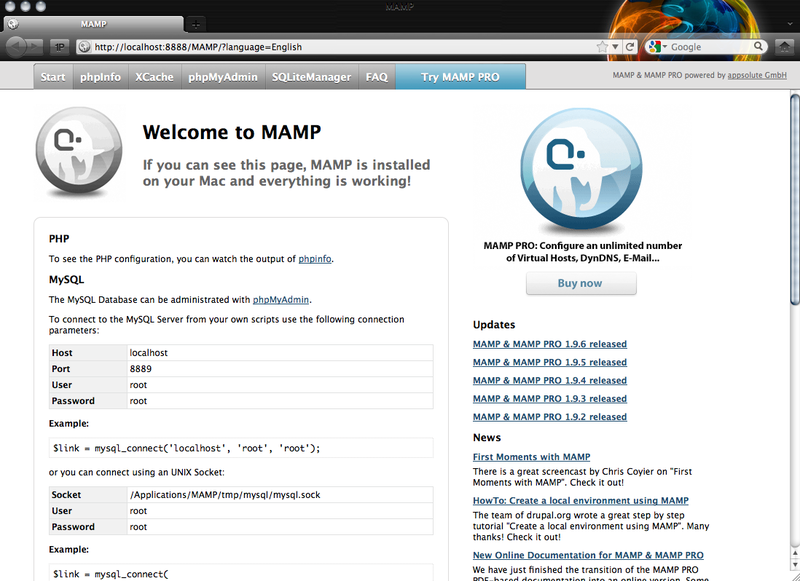 Just install the package and start the MAMP application. As you can see in the first screenshot it shows you the status of the servers. After the servers are started successful your default browser should open and present a site like you can see it in the second screenshots. There are some useful tools like phpMyAdmin and SQLiteManager preinstalled. Just place the software you want to test in the /Application/MAMP/htdocs directory and have fun.